What did Porsha do to get back at everyone? 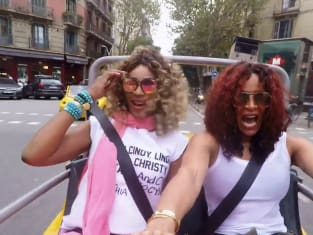 That was revealed on The Real Housewives of Atlanta Season 10 Episode 14 when tensions between the women hit an all-time high in Barcelona. Meanwhile, Cynthia continued her plan to get over her man, but did it result in her having relations with a female? Also, one of the ladies decided it was time to end the trip when things got too much.